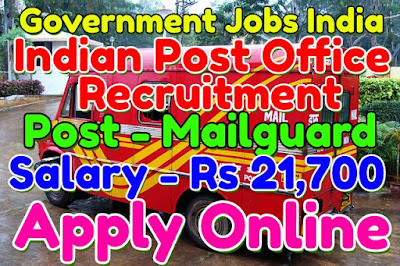 Indian Post Office has published recruitment notification 2017 for 96 postman, mailguard posts. All eligible and interested candidates have to apply on or before (17-02-2017). Further more information about given post is mentioned in detailed below. Number of vacancies - 96. Salary and Grade pay - The salary will be Rs 21,700. Age Limit - For Indian Post Office recruitment, candidate age should be less than 18 - 27 years. Educational Qualifications Required - A candidate should must have done at least 10th, 12th, or its equivalent / relevant / higher qualification from a recognized board or university. Selection procedure - All eligible and interested candidates will be selected on the basis of aptitude test. 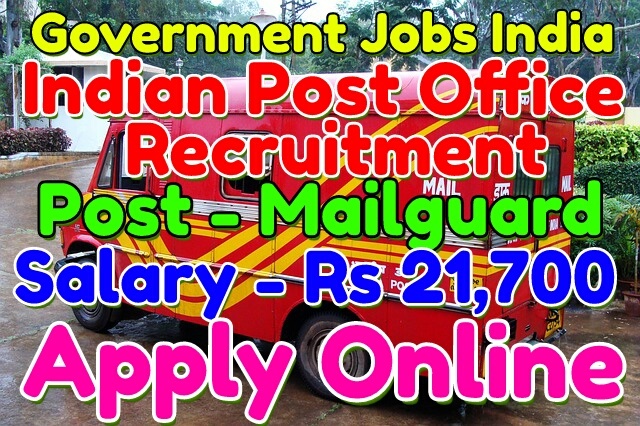 How to Apply - All eligible and interested candidates have to download application form from official website http://odisha.postalcareers.in or from given link below. Important date to remember - All eligible and interested candidates have to apply on or before (17-02-2017). Application Fee - Rs 400 for General / OBC candidates and no fee for SC / ST candidates.